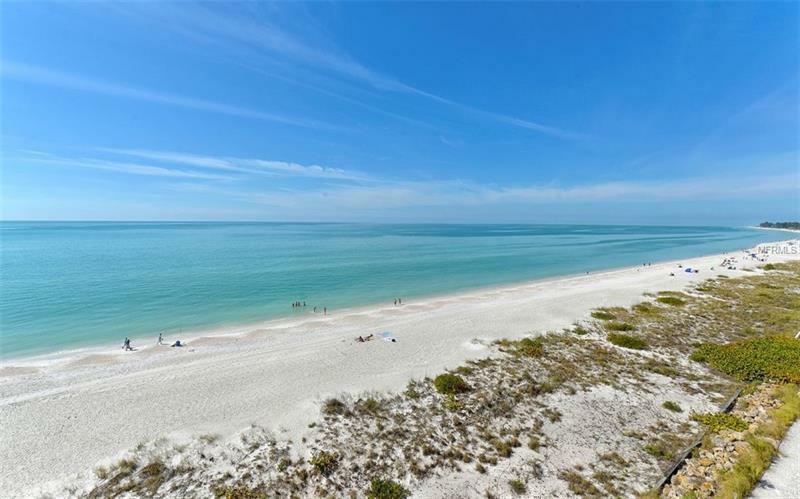 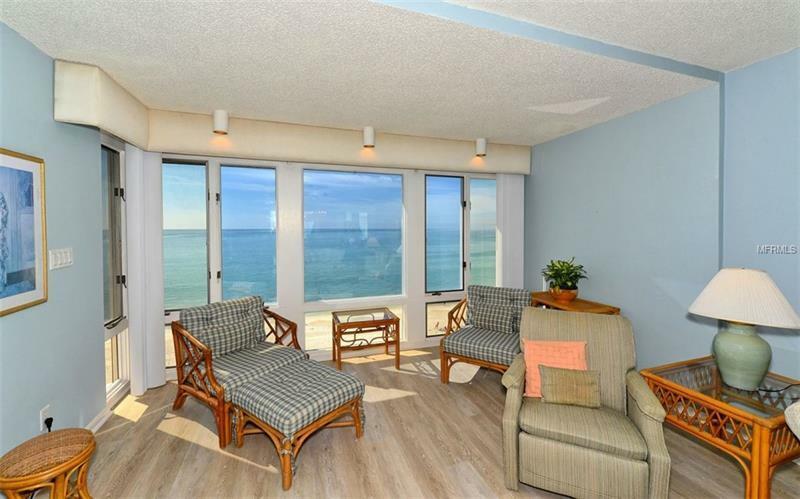 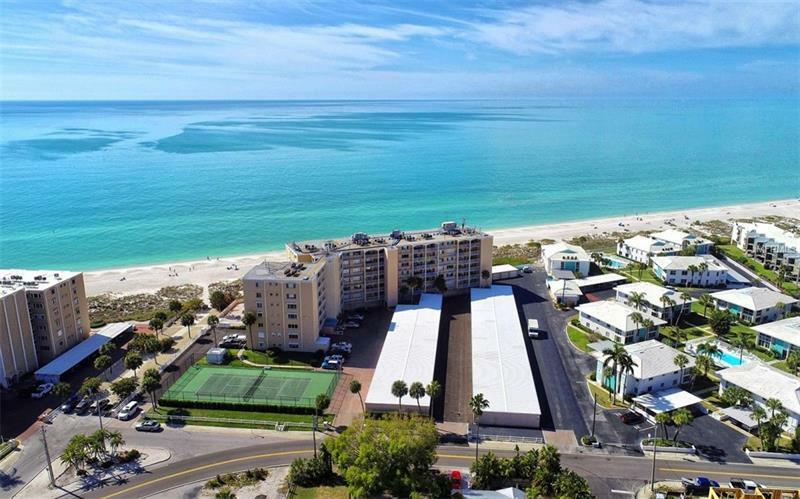 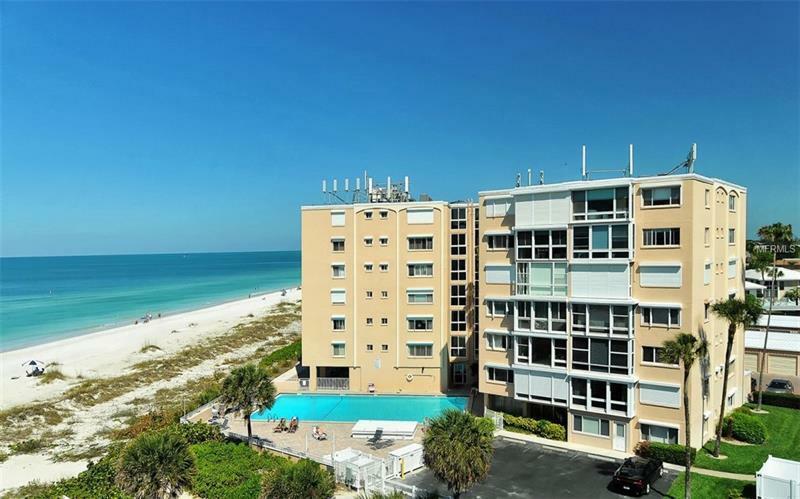 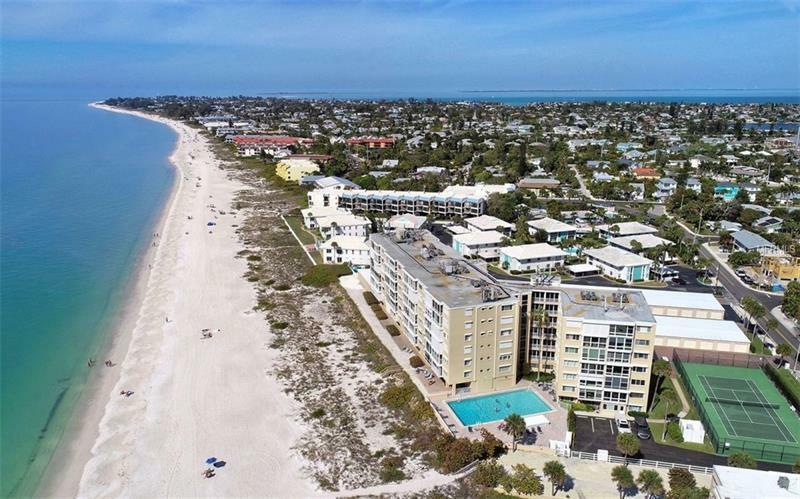 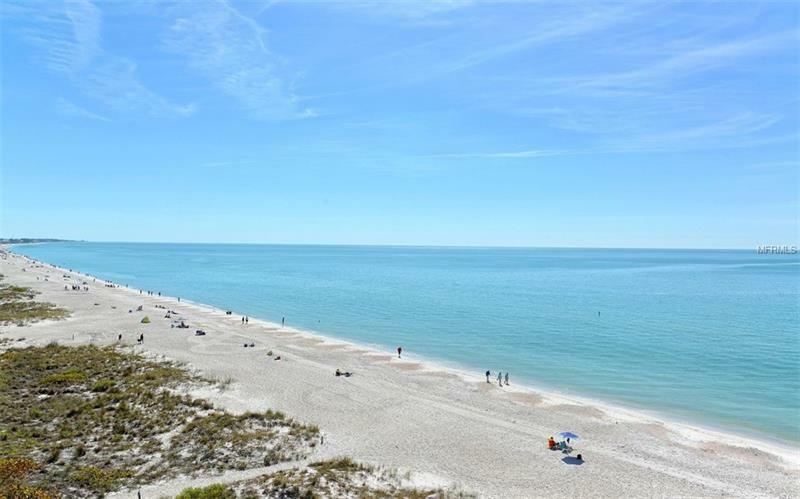 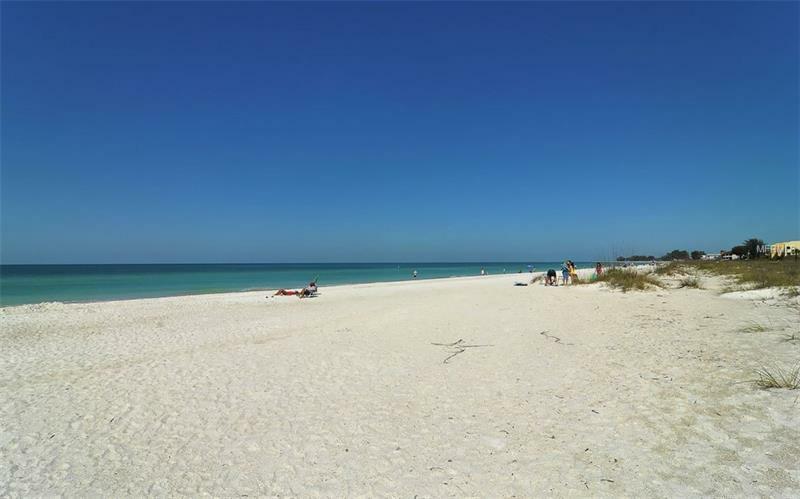 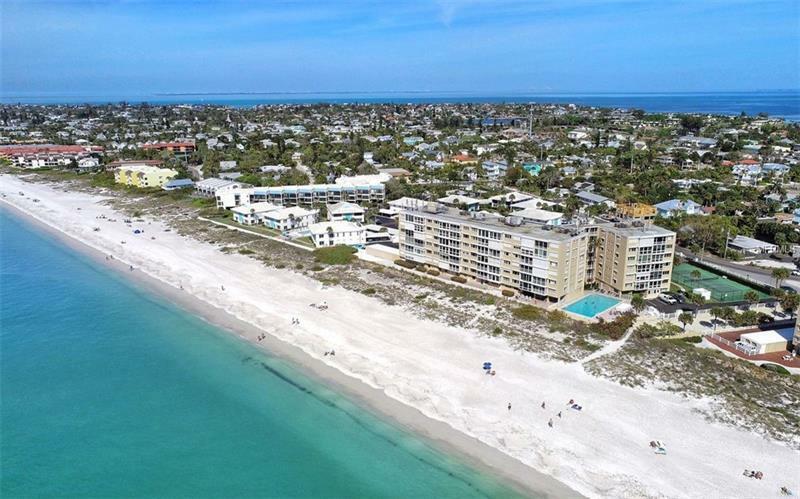 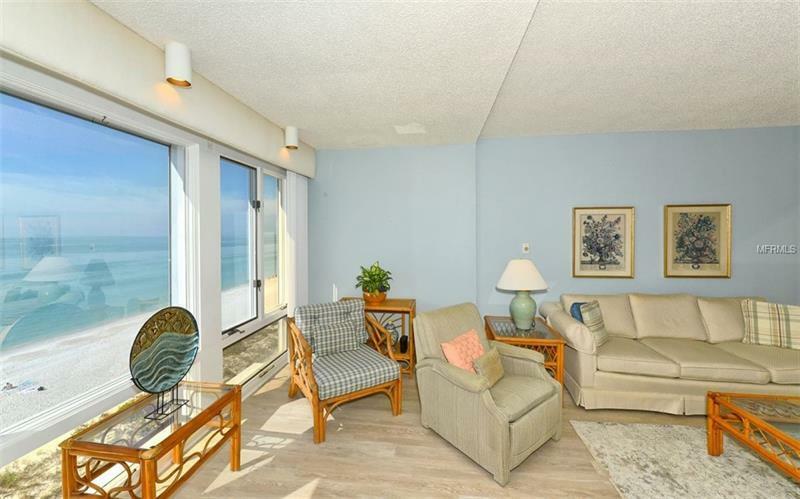 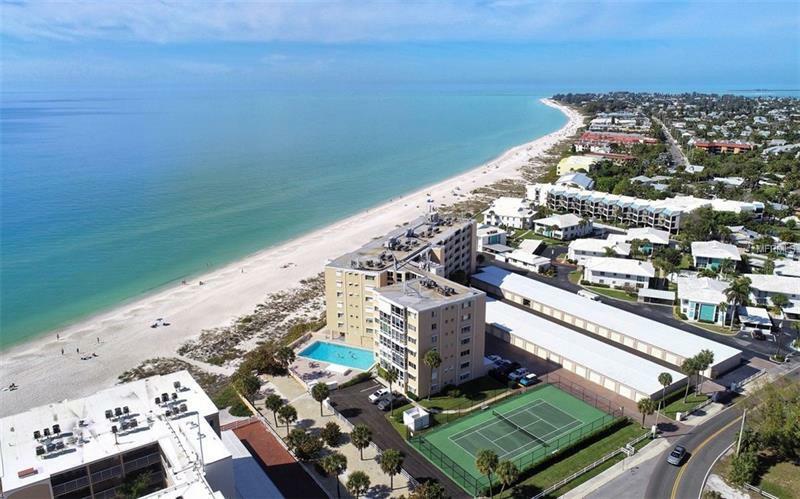 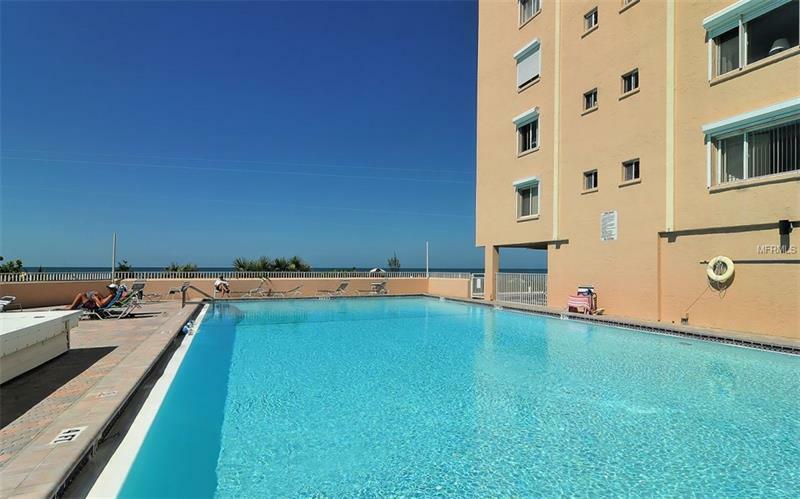 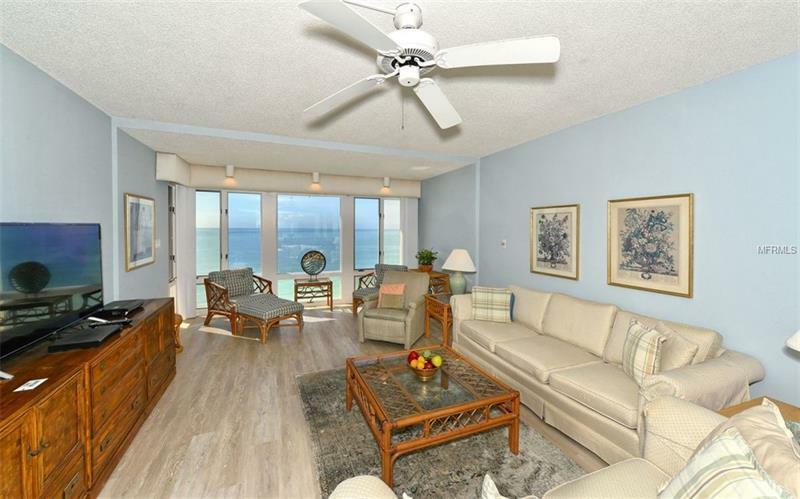 Named one of âAmericaâs Happiest Seaside Townsâ by Coastal Living, Anna Maria Island is the setting for this sixth-floor beachfront condominium at Martinique North. 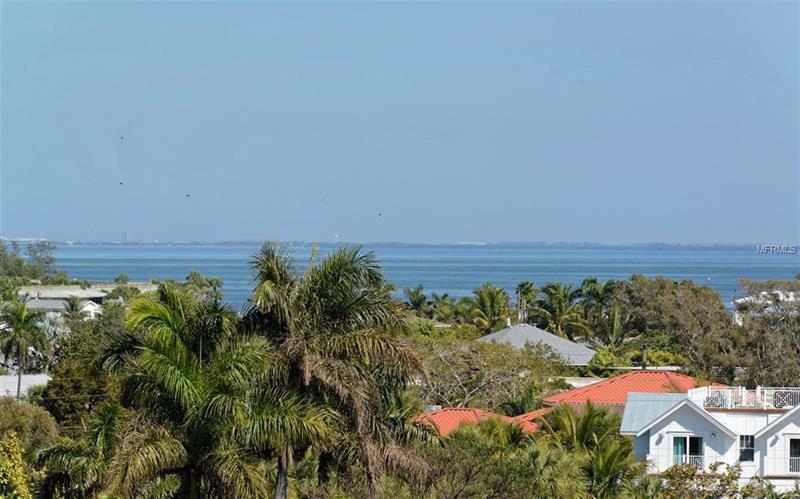 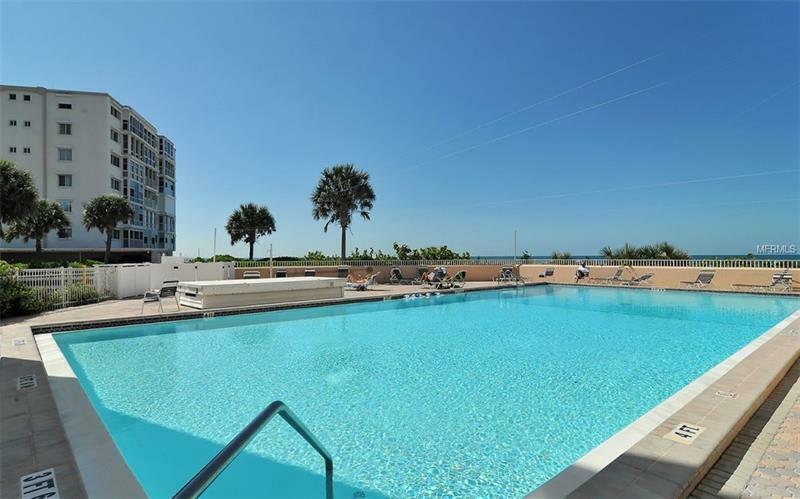 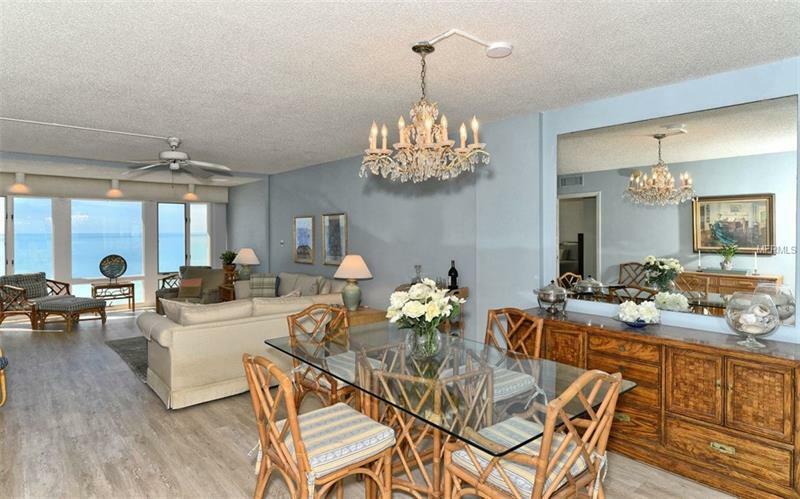 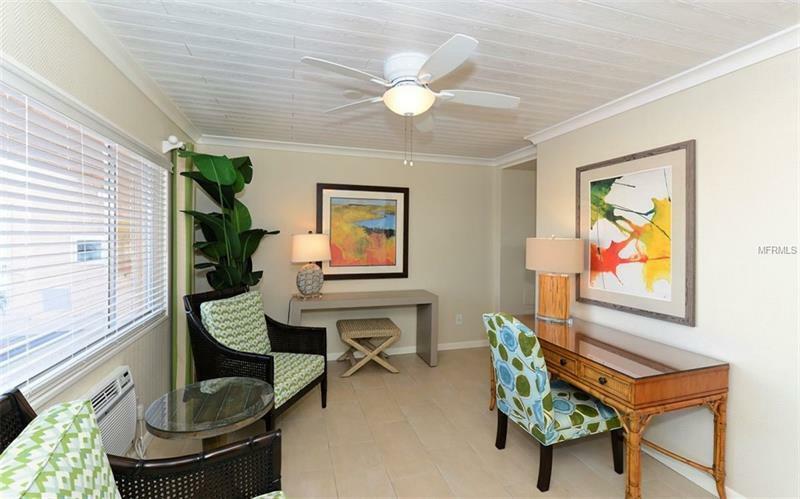 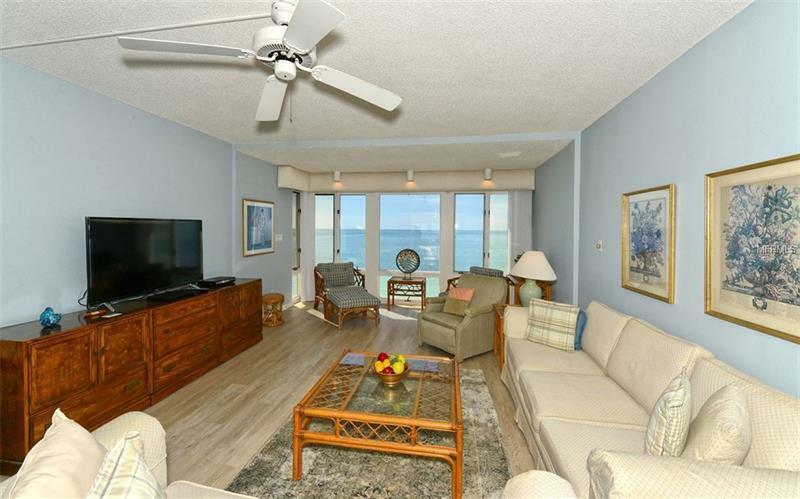 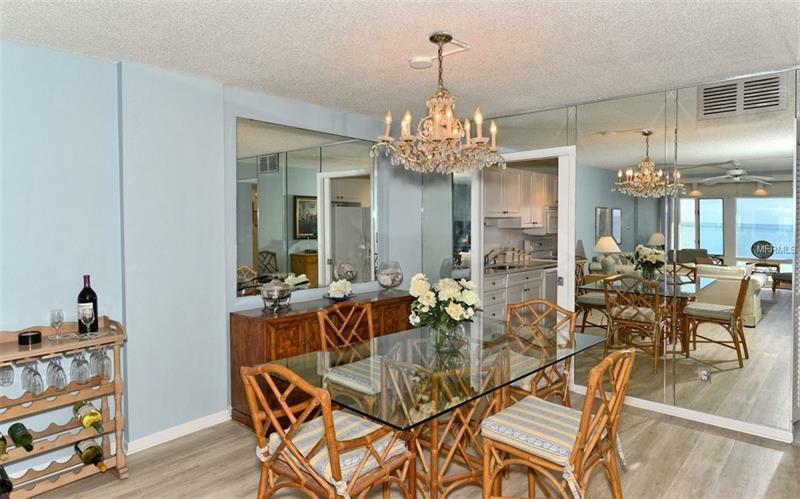 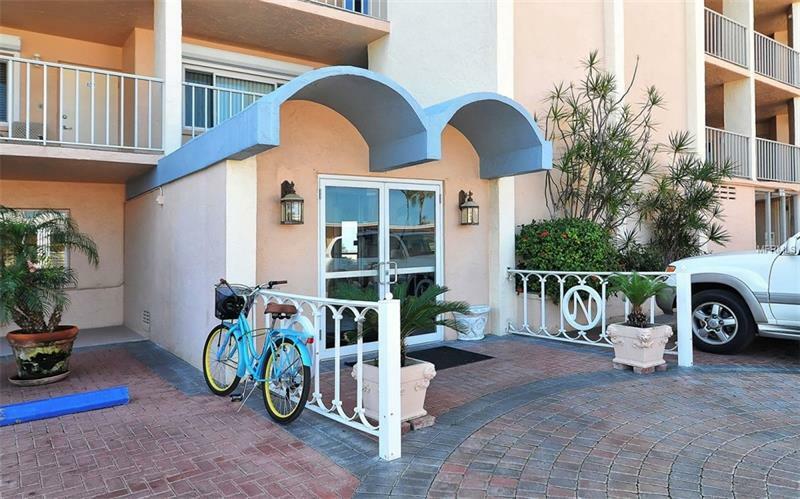 The Gulf of Mexico is quite literally in your backyard with dynamic Gulf and Bay views bookending this three-bedroom fully furnished residence. 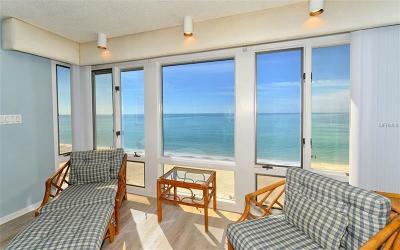 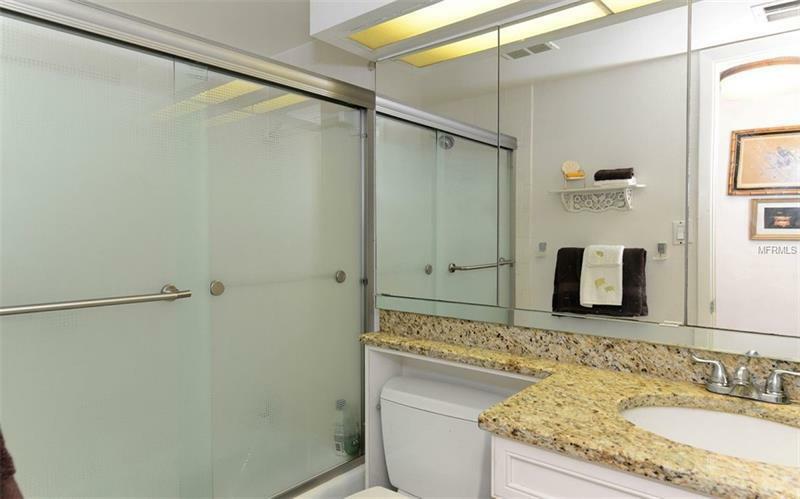 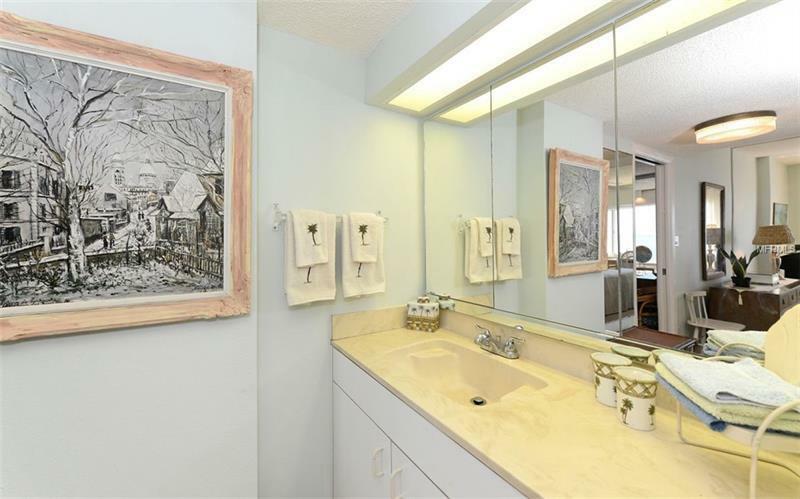 Presenting water views from nearly every room, entertain or relax at home surrounded by the majesty of the sea. 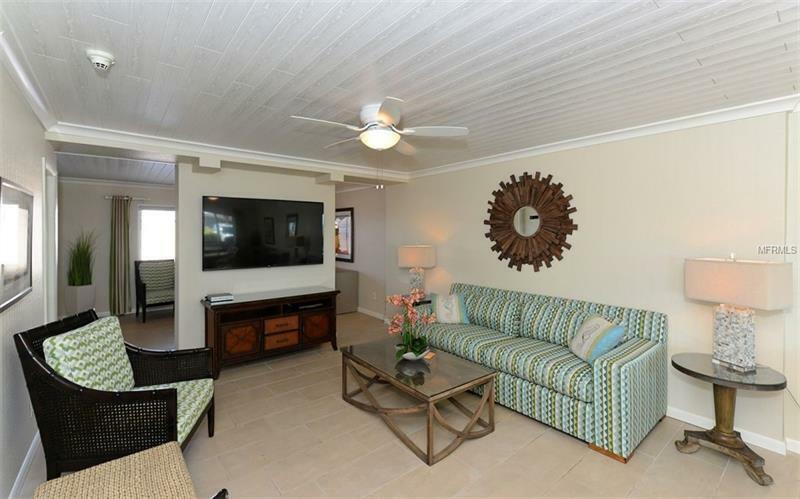 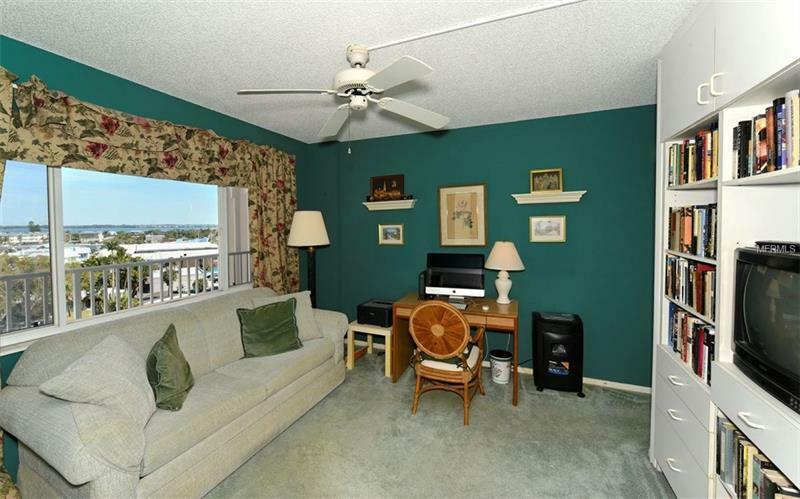 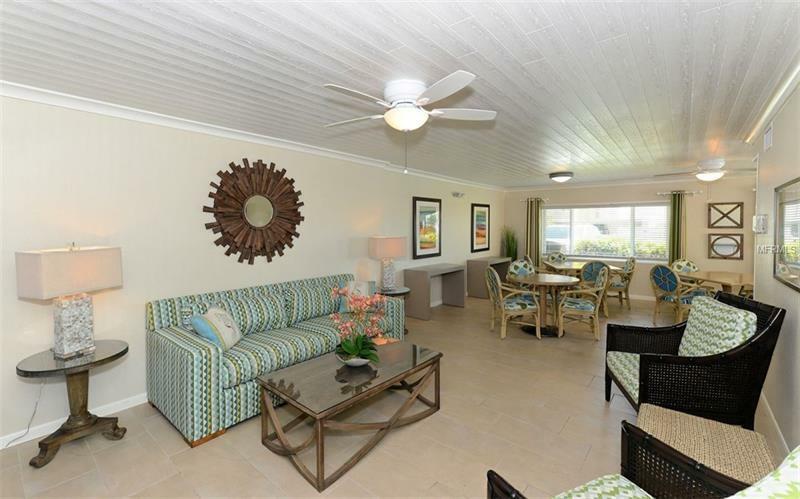 A spacious living room welcomes you after a day on the beach. 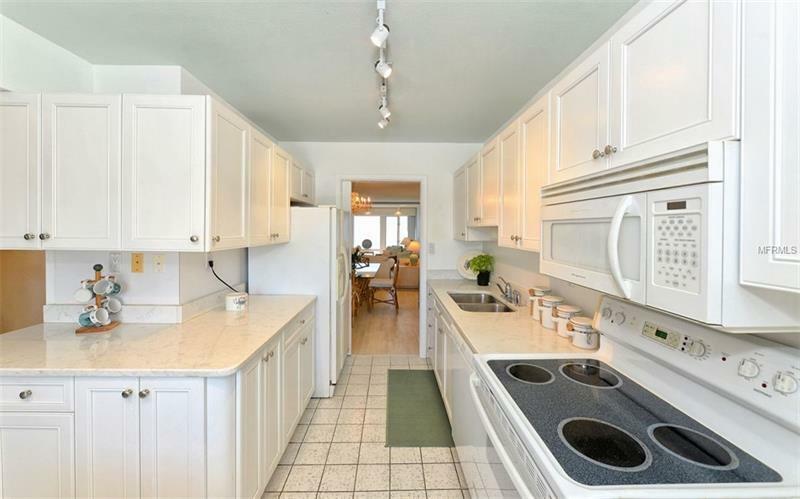 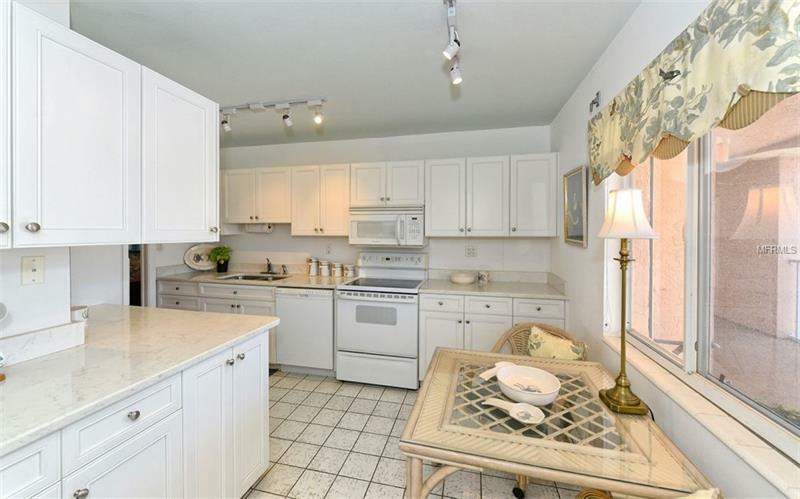 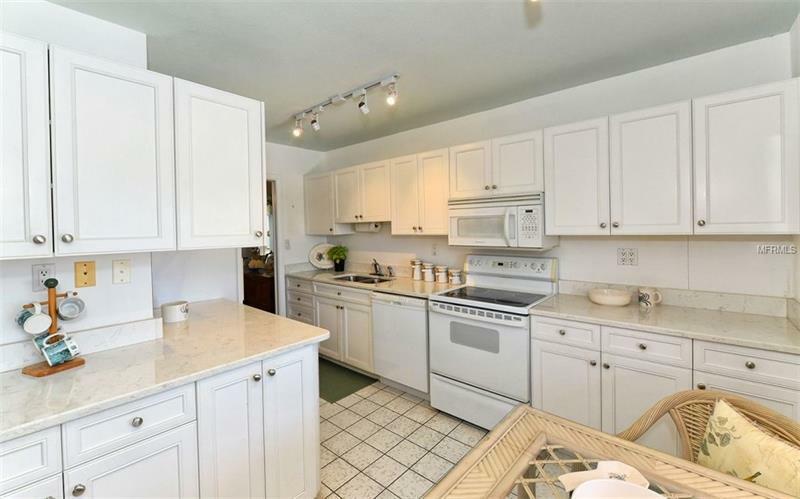 Prepare delicious ingredients in the newly updated kitchen with quartz surfaces and white cabinets. 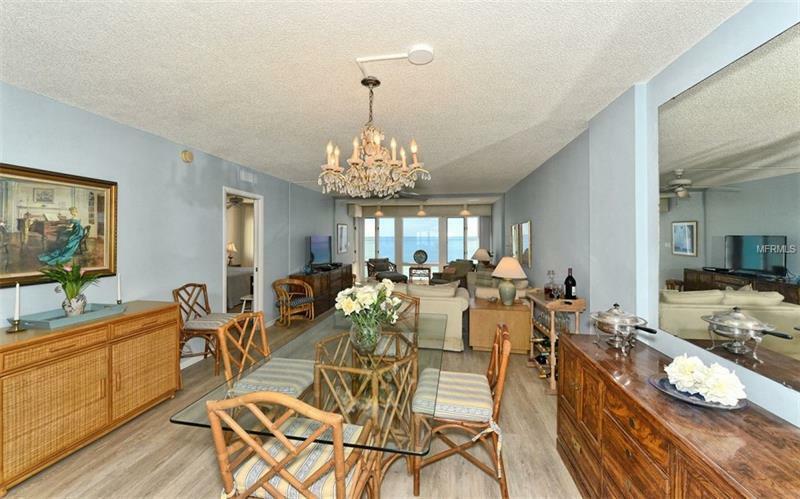 Enjoy takeout from Minnieâs Beach CafÃ© in the eat-in kitchen overlooking Tampa Bay or serve up a feast in the dining room with the azure waters of the Gulf as your backdrop. 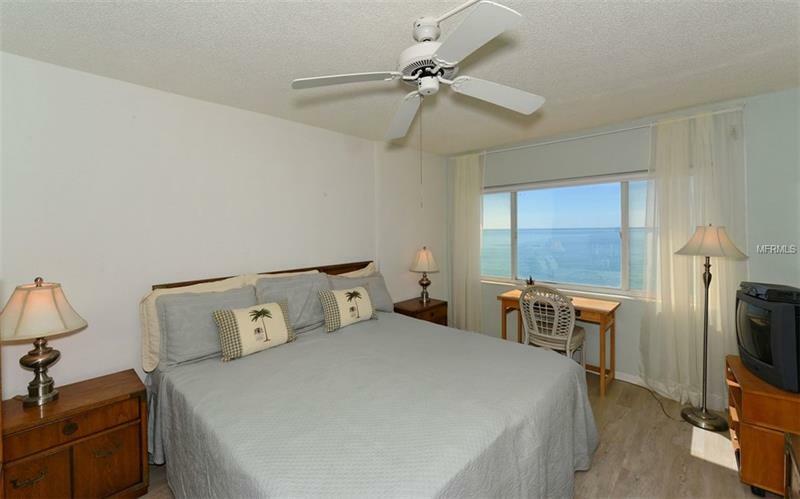 Experience the movement of the sun over water with easterly views of the sunrise over Tampa Bay and western sights of multi-hued sunsets over the Gulf. 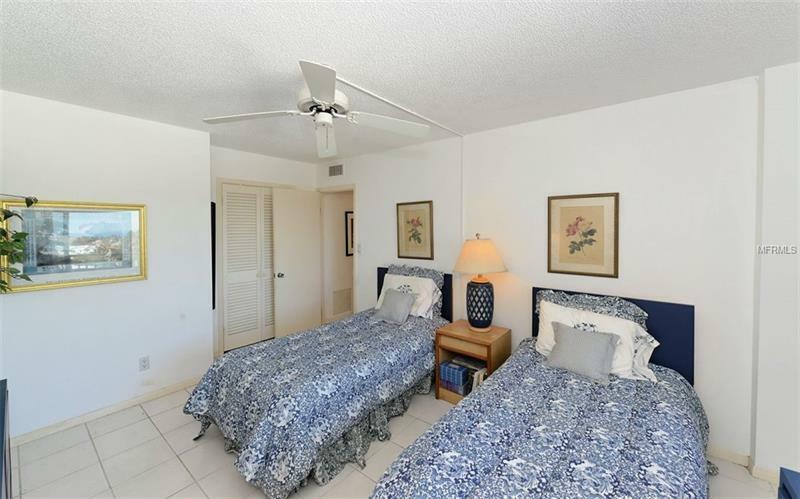 New hurricane shutters and A/C. 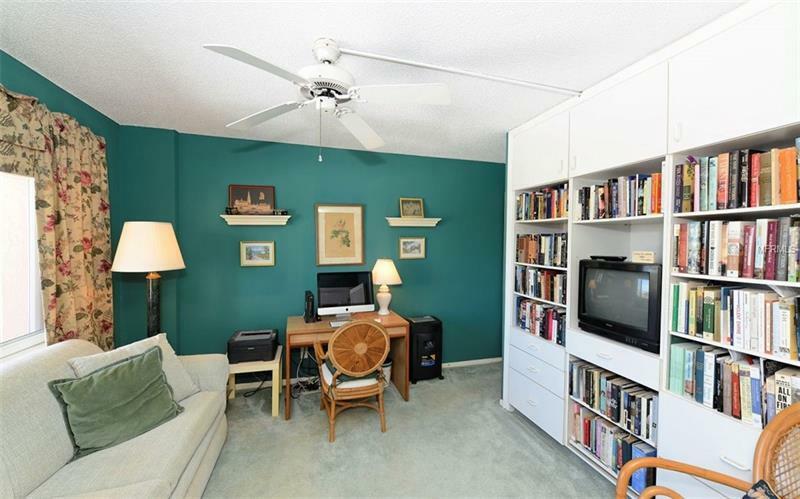 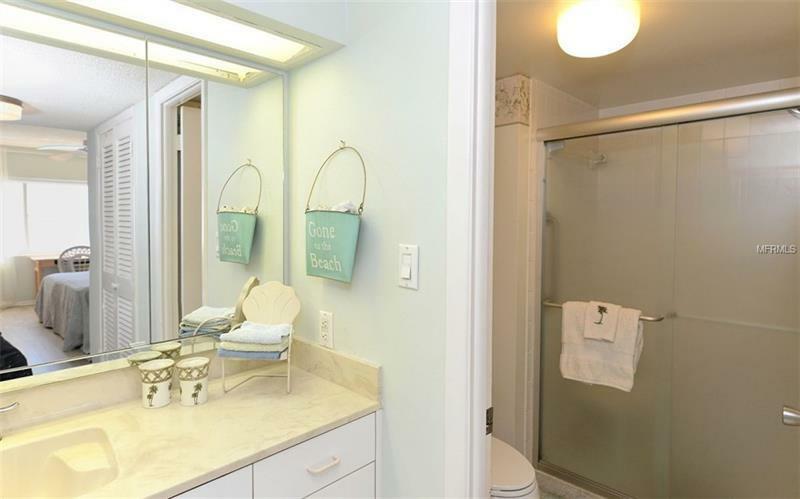 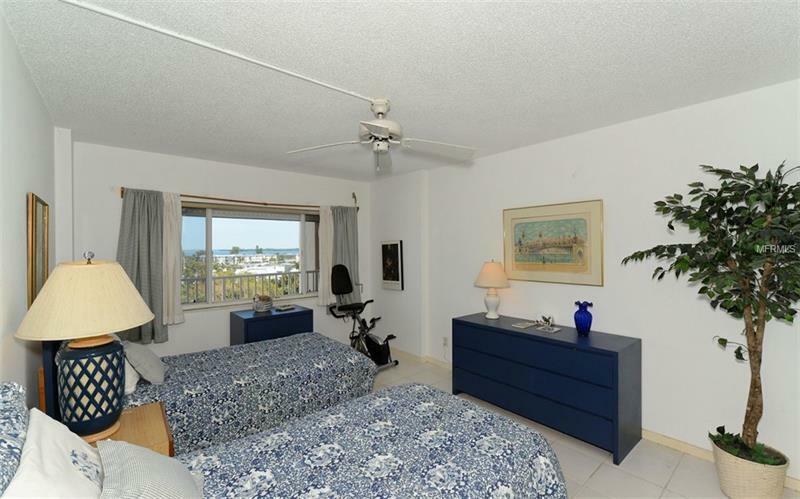 Storage is not a problem with private room for beach gear and two-car garage spaces. 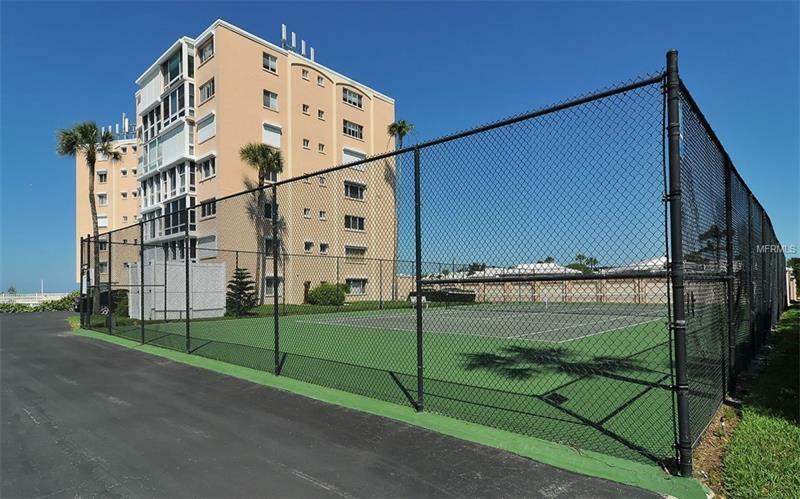 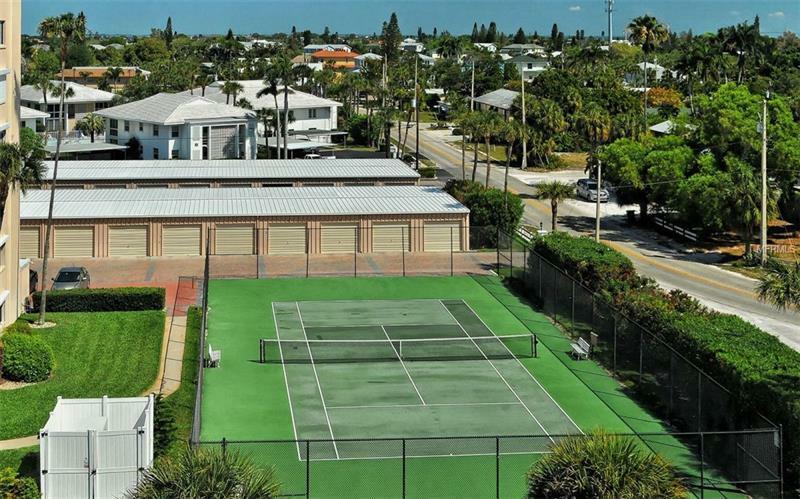 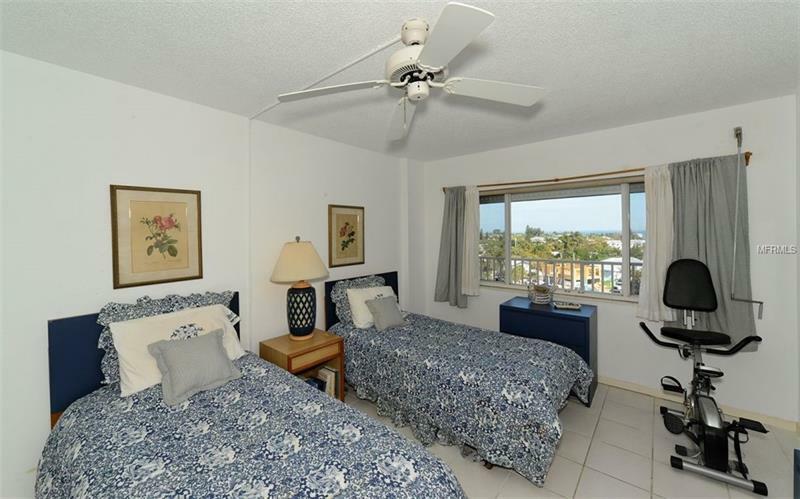 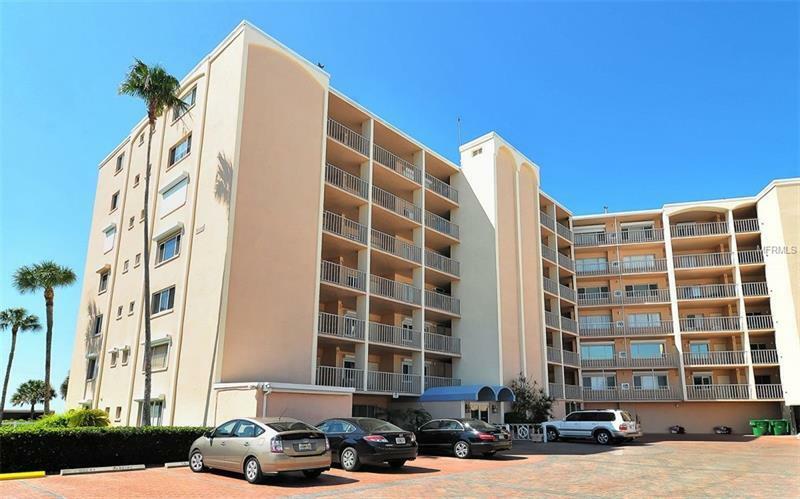 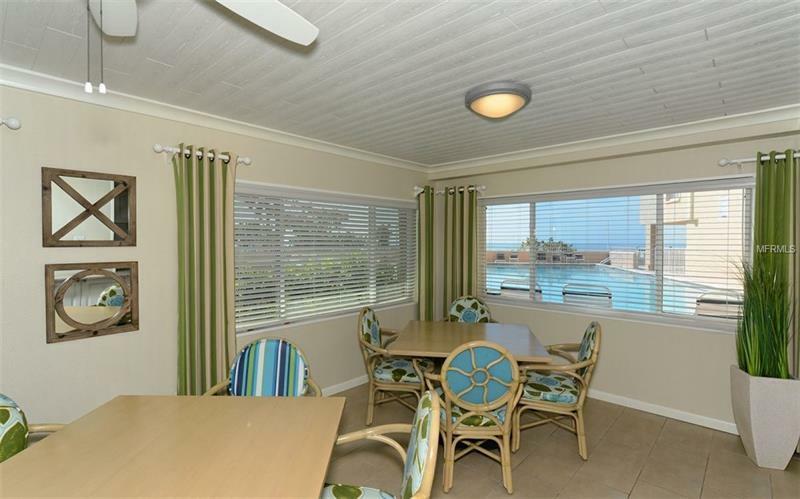 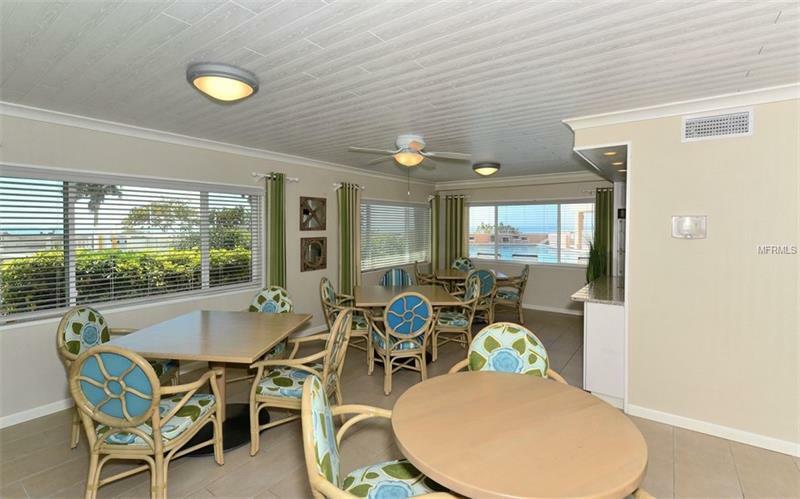 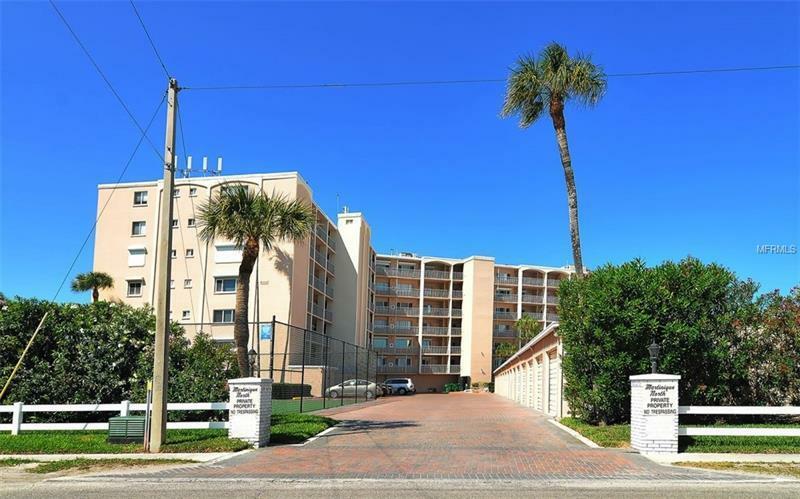 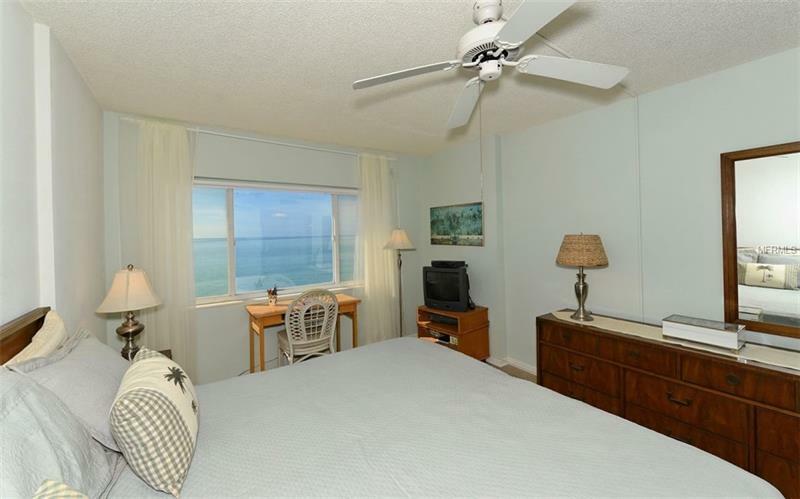 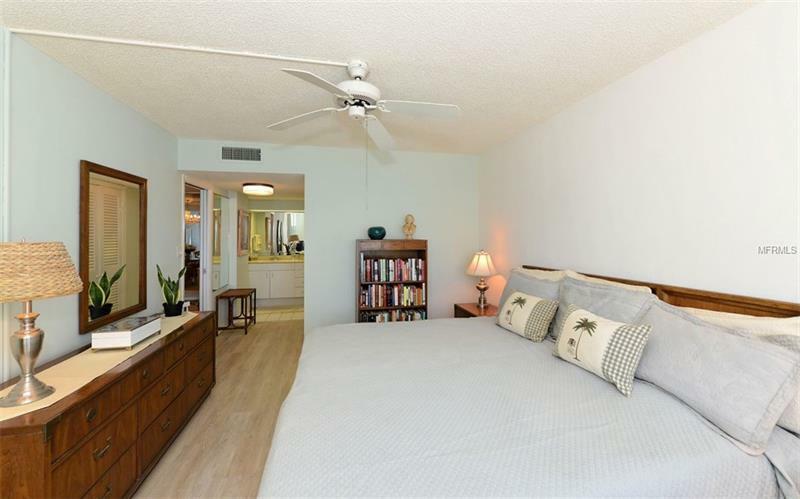 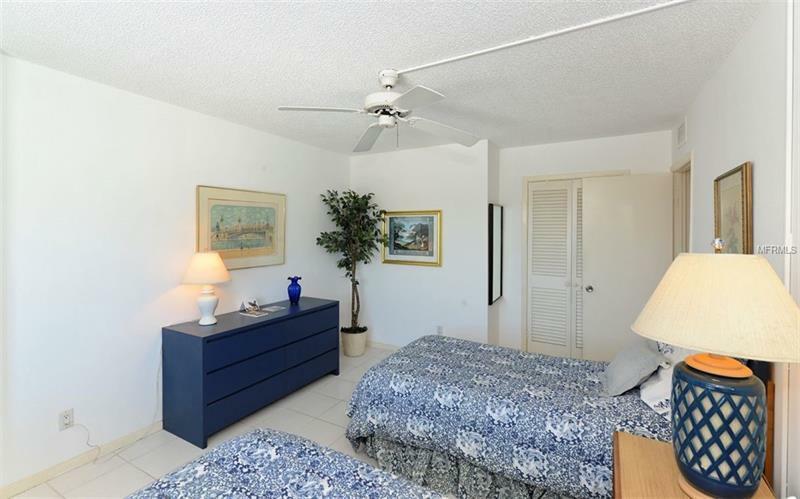 Martinique is the only âhigh-riseâ on Anna Maria Island and features a recently remodeled surf room, kitchen, extra-large lap pool, covered patio for lounging and grilling, tennis courts, managerâs office in the building, and washer/dryer on each floor. 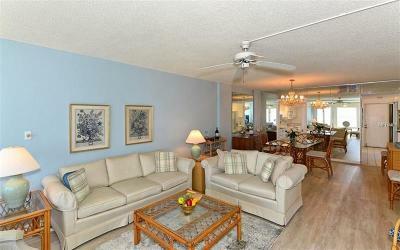 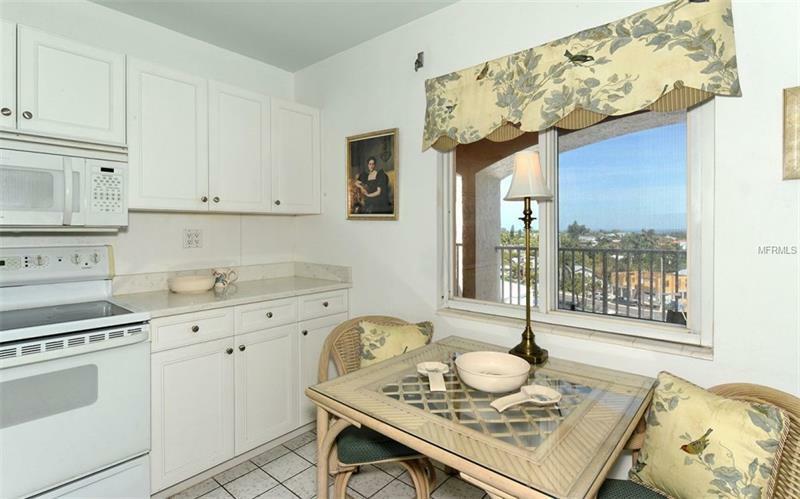 You may choose to rent the residence when you are not there for a potential income opportunity. Walk to shops, restaurants, and above all else, the beach.